The U.S. Army plans to pay Mack Truck’s defense unit nearly $300 million to build armored dump trucks. But before the new trucks go into the field, the military will try to destroy one or more test models. “We will literally shoot it with machine guns and blow it up and see what happens,” Lt. Col. Jeff Jurand, the Army’s product manager for heavy tactical vehicles, told Trucks.com. The Army wants to make sure that soldiers in the armored compartment can survive the effects of a large-scale blast. of five Mack Granite -based M917A3 Heavy Dump Trucks (HDT) as part of the Production Vehicle Testing (PVT) phase of its $296 million contract with the U.S. Army for armored and armor-capable HDTs. Once completed, the trucks will enter 40 weeks of rigorous durability testing at the U.S. Army’s Aberdeen Test Center this summer. TROY, Mich. (Feb. 14, 2019) ̶ Meritor, Inc. (NYSE: MTOR) today announced it has been selected to equip Mack Defense’s new heavy-duty dump trucks for the United States Army with a comprehensive drivetrain solution from Meritor including its MX810 front drive steer axle, transfer case, ProTec™ Series 50 tridem drive beam axles and Permalube™ RPL Series drivelines. The Mack Granite® armored and armor-capable dump trucks are scheduled to be delivered to the U.S. Army Corps of Engineers through 2025. 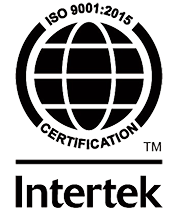 ALLENTOWN, PA (Jan. 24, 2019) – Mack Defense successfully completed the first annual surveillance audit of its Environmental Management System (ISO 14001:2015) and Quality Management System (ISO 9001:2015) with no findings identified during the audit.